It only took a few minutes for “Anoymous” to spring into action and retaliate for the shutdown of MegaUpload. It started with justice.gov, but soon after the sites of Universal Music Group, the RIAA and MPAA were in trouble as well. 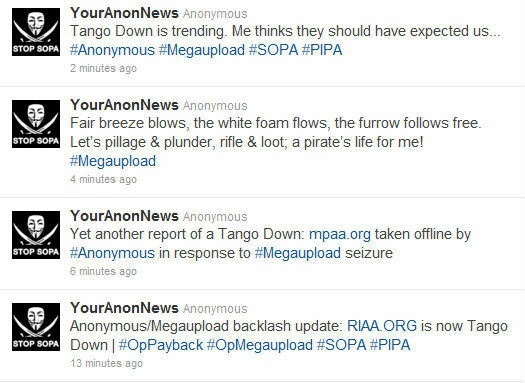 Both TangoDown and MegaUpload are trending on twitter at the time of writing.